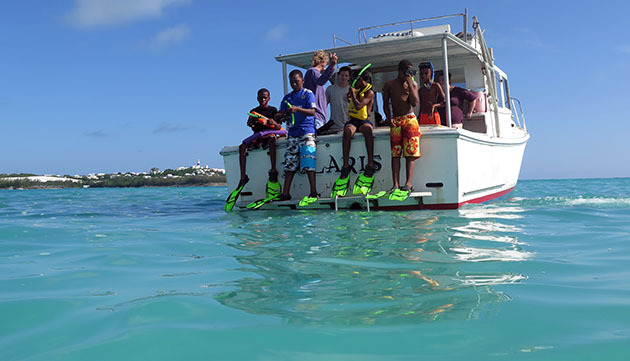 In September, boys from Dellwood Middle School visited Cooper’s Island Nature Reserve to snorkel, identify fish, and tour the area on board the vessel Polaris and the Bermuda sloop Spirit of Bermuda. 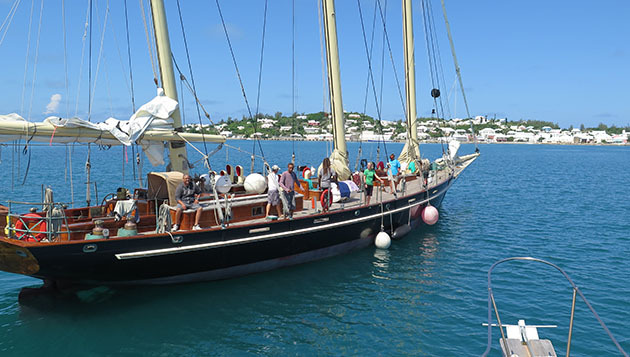 In 2015, more than 300 middle school students participated in the half-day marine science immersion program, a partnership with Bermuda Sloop Foundation and BIOS’s Ocean Academy. BIOS staff members and volunteers have participated as snorkeling and marine science educators for the past eight years.